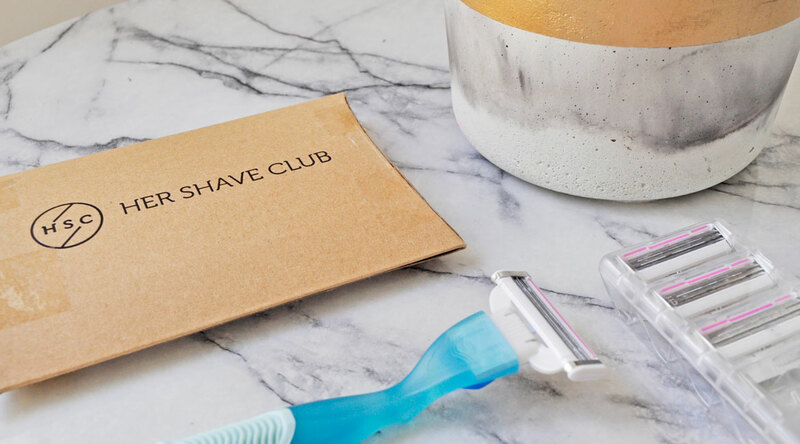 Her Shave Club is an Australian monthly subscription service for women that currently offer two styles of razors. The Consultant and The Date Night. Basically, you get sent an initial package with a handle and cartridges, then every month, you will receive another set of refills. Shhh, don’t tell anyone… I tend to use my razors for a little longer than I probably should and don’t end up getting the closest shave possible. I must say I love the idea of using a new razor blade every single week. With 4 refills each month, it makes stepping up my shaving routine that much easier. The packaging is compact and creative, each multi-blade razor is safe, sharp and sturdy. The handle has a comfortable rubber grip and works really well in the shower with slippery hands. You will get a nice, smooth shave with hardly any effort. Simple 3 blade razor. Nothing more, nothing less. 3 new cartridges per month in a cute little package delivered to your door. For the most sensitive of skin. Have you tried Her Shave Club before? Let me know your thoughts on this subscription service. You can find Her Shave Club on Facebook and Instagram. This is kind of perfect lol. $6-8 isn’t much and changing it every week sounds like what should be done lol. Not bad. It’s a clever idea 🙂 Hope you are having a wonderful weekend! Now THIS is a subscription that makes sense! Something you actually need and go through each month. They should do that with feminine products too! i have never heard of this one ! would love to try it !